Check out the New Rawhyde Mega Truck Build from All Out Performance. This beast of a mud truck features a full custom tube chassis, straight driver transfer case, blown big block Chevy motor and 2.5 ton Rockwell axles. The rear engine setup on this truck should allow it to get some huge air while staying level thank to an even weight distribution. Watch this mud beast in action on the obstacle course at Mud Truck Madness in Louisiana. It crashed hard across the finish line on its final run but the driver was ok and so was the truck. For more Mega Truck Build Videos check out the Busted Knuckle Video Youtube Channel. 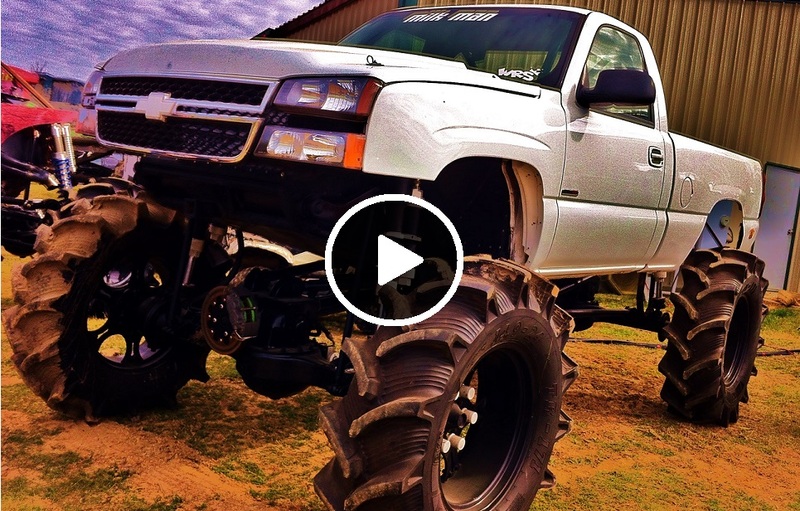 Check out the Duramax powered Milkman Mega Truck Build by All Out Performance. This Nasty Duramax powered Mega Truck was built by All Out Performance and features 2.5 ton rockwells and an Allison transmission.